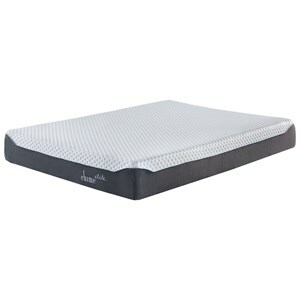 The M697 Chime 12 Hybrid Queen 12" Hybrid Mattress and Foundation by Sierra Sleep at Pedigo Furniture in the Livingston, Onalaska, Trinity, Coldspring, Corrigan, Huntsville, TX area. Product availability may vary. Contact us for the most current availability on this product. M69731 Queen 12" Hybrid Mattress 1 12"
M80X32 Queen Foundation 1 " " 9"